Ghoulish Greetings From HauntedIllinois.com ! Well, it�s only about a week until Halloween! Check out all of the great info that we have for you! 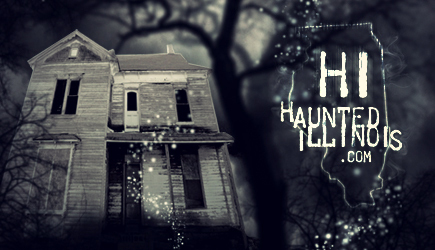 Also, be sure to return to this page after Halloween, because our official Top Ten Haunted Houses of 2009 will be posted during the first week of November! BUY HAUNTED HOUSE TICKETS ONLINE! ILLINOIS HAUNTED HOUSE FEATURED ON THE TRAVEL CHANNEL! The Travel Channel is famous for their yearly Haunted House specials every October. Well, this year they are doing a segment on one of Illinois� very own top-notch haunted attractions! Dream Reapers Haunted House (Melrose Park, IL) will be featured on the Travel Channel�s show �America Haunts II�, on Tuesday 10/27/09 at 7:00PM CST. I hope you have a great Halloween season!! !